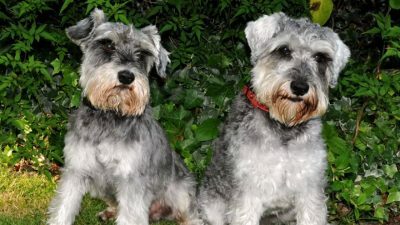 The owners of a pair of miniature Schnauzers were upset when they disappeared into the fog while on a walk. They thought they would never see Charlie and Theo again. Liz and Graham Hampson starting a search for the dogs, contacting mountain rescue teams, their friends, and their families. In total, more than 120 people (as well as a couple of drones) were looking for the stranded dogs on the Red Pike fell in Cambria. After searching for 96 hours, they had almost given up. Then they decided to cook sausages where the dogs were last seen. The owners had even camped out overnight, calling the dogs and hoping they would show up. They were shocked and thrilled when, moments after they started cooking the sausages, Charlie and Theo appeared. Mrs. Hampson said “When they first appeared it was like a mirage. I could not believe it was them. “My husband ran up the hill to grab them as I was just shaking and crying. I could not function. 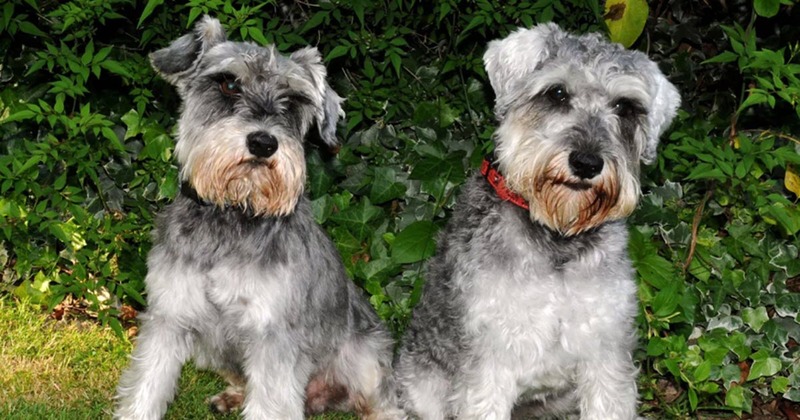 “The dogs are just gorgeous, and they are part of our family. It would be horrible not to have them around. “They absolutely love sausages. They have them every Sunday for breakfast, so if there was one food they were going to come back for, it was sausages. “One of our friends had the intuition to work out roughly where they would be and we started the barbecue there. It’s like the ending of a film that it worked. “My son is in the navy and we rang him first to tell him. A huge cheer went up on his ship. “Charlie and Theo are actually dad and son so we’re now joking they had a father’s day weekend. Their son John was walking the dogs on top of the Red Pike fell. When the weather turned in the middle of the day, a thick fog rolled in and the dogs were able to get away from him. He called his mother immediately to let her know what had happened. Liz said: “I was beside myself when John called. The dogs walk off lead when there is no livestock around and are used to being on the fells. “It was a horrible phone call. We called our family and messaged friends and put out an appeal for people to look out for them on Facebook and Twitter. “I also have a few friends who are part of mountain rescue groups so I asked if they could keep their eyes peeled if they were called out to a rescue. “An awful lot of people responded. Groups of extended family and friends went out, and people from the local community who know the dogs.